Griffith Park, our jewel of a wild central city park, has a traffic problem. Anyone who has attempted to visit Griffith Observatory is well aware that you could probably get there faster by hiking all the way up rather than trying to drive in and park. Which is why the city&apos;s decision last night—at a meeting held to update the public on the status of the "Griffith Park Circulation & Traffic Enhancement Plan"—to overhaul the way people get into and around within the park is broadly welcomed, according to CiclaValley. Per the plan, the city will vastly expand shuttle service within the park, will begin charging for parking close to the observatory, and will (crucially!) keep Mt. Hollywood Drive free from both cars and shuttles. Don Ward, the de facto leader of L.A.&apos;s cycling advocacy network who was instrumental in organizing public comment to guide the plan, was at the meeting and says he&apos;s pleased. "I&apos;m very happy with the plan, stoked that they appear to finally be breaking the barrier of parking revenue. Funding public transport from parking revenue is the only way you can really start taming traffic," Ward said to LAist. "Have you ever noticed how when you visit other world class cities, it&apos;s not hard to get to their central park via public transit? LA is about to join that club." Specifically, parking meters with congestion (variable) pricing will be added in the observatory parking lot and along Observatory Drive. Free parking will remain plentiful in the park, but will be located in several of the park&apos;s large, underused, parking lots along Vermont Avenue and Fern Dell Drive. Shuttles, subsidized by the metered parking up top, will run at frequent intervals up to the observatory and other park spots. Shuttle service currently linking the park to the Vermont/Sunset Red Line station will also be polished and increased. The question over how to solve Griffith Park&apos;s traffic terrors has been a years-long debate. A traffic study last year united cyclists, hikers, and equestrians to political action when they discovered Mt. Hollywood Drive—a totally car-free portion of the park—might be opened to shuttles, traffic, or both. Stressed they might lose a prime portion of recreation space, they argued for solutions that did not involve prioritizing parking over open space. On the flip side, there are still concerns over the park&apos;s health. 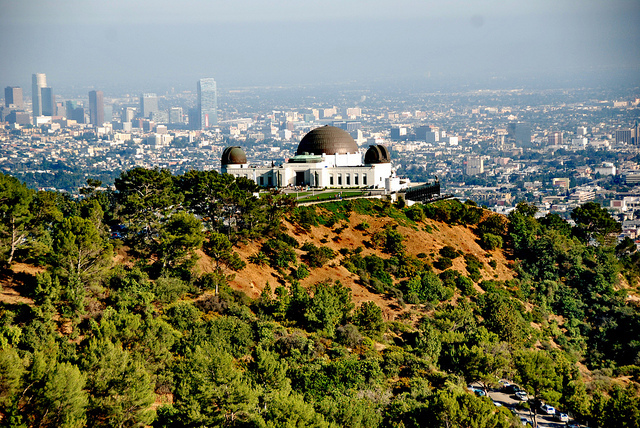 Gerry Hans, the president of Friends of Griffith Park, voiced concern over the park&apos;s ecosystem, worried that the park&apos;s often fragile environment could be harmed by more visitors. Regardless, there will be fewer cars clogging up the park. Aside from less anxiety, fewer cars means fewer idling engines and therefore less pollution.